As I wrote about last time, I attended the ACP Internal Medicine 2012 meeting in New Orleans. Afterwards my wife and I took a cruise on the Carnival Conquest ship that left from New Orleans and stopped at the ports of Cozumel, Jamaica and Grand Caymen. On the first day of the cruise there is a mandatory safety briefing on deck where they discuss such things as how to board the lifeboats in the event of an emergency. The announcer appropriately discussed the importance of washing hands, but incorrectly said, “the hotter the better.” When it comes to washing your hands, cold water works as well as hot water, except that if it’s cold, people won’t wash their hands as long because it’s uncomfortable. The same is true if the water is too hot. Thus warm water is recommended. We took an excursion to see the Mayan ruins of Tulum near Cozumel, Mexico. Before leaving the ship we were warned not drink the local water. Near the ruins in a tourist shopping center I was tempted to eat at a Häagen-Dazs ice cream stand. I figured the ice cream was safe, but I worried about the water used to clean the scoops. It was probably safe, but I didn’t want to take a chance. Obesity is a common problem in the United States and elsewhere, and is particularly a problem in the South. This was reflected in the passengers having embarked in New Orleans. Although people understandably eat excessively on a cruise, to which I’ll take the 5th Amendment, there are opportunities to do some healthy things on a cruise. I took advantage of their gym and exercised every day, though few did. Most of the time half the people exercising were crew members. While looking for something else, I happened to walk by an ongoing talk on Secrets To A Flatter Stomach. I sat down and listened. The speaker was a personal trainer, certified by the Australian Institute of Fitness. He was buff, which automatically makes one feel he knows what he’s talking about. In fact his advice on exercise and nutrition was sound, and he did a great job explaining things. He then talked about detox and the need to get rid of toxic water trapped around fat. They invited people to sign up for a 1 hour personal analysis and consultation at a 2 for 1 special of $35. I spoke with the speaker’s colleague, a man from Scotland, and also buff. I asked if they would be repeating the lecture as I thought my wife would enjoy hearing it. He said he would cover the same material at the consultation, and more, and do an analysis with equipment not available in the United States (this model is available in the US and seems close to the 310e V8.0 they used). I was skeptical about the detox, but the cost was pretty low so I signed up. At our meeting he first had us fill out questionnaires about our health, including what medications we were taking and why. I purposely didn’t answer the question about occupation, but admitted I was a physician when he later asked. He then went on to tell me he had a BSC degree in Sports Science from the University of West of Scotland, which he said was about equivalent to a physician in the United States. It’s not. He ran a bio-electrical impedance test attaching an electrode to the ankle and wrist. Running a very low voltage and current, that you cannot feel, through the body, it calculates body fat, lean body weight, body water and metabolic rate. The calculations require the body weight, which he asked about, but did not measure (towards the end of a cruise the actual weight is likely to be significantly higher than the stated weight!). Although the equipment he used may not be available in the US, it’s similar to the Tanita bathroom scale I have at home. My device calculates body fat, though you have to do your own calculations to derive the other numbers, and the results he obtained were very similar to my results at home. He said I needed to lose 6.1 lbs of fat, and admitted I was among the healthiest he had tested on the cruise, but that I also had 12.5 lbs of toxic water to remove. According to his handout, that put me in the level of, “High levels of accumulative toxic waste circulating the cells of the body. Damage to Liver and Kidneys apparent. Weight gain is inevitable. Degeneration of joints and muscle tissue. High Blood Pressure / High cholesterol.” He recommended a 3 month detox program for $300. Most people, “needed” a 6 month program, which consisted of two 3 month cycles, and some needed a year’s worth. They would then do a 3 month cycle every few years or so depending, less often if following a healthy diet. My credit card would be charged that day, and the product shipped the next, so we could get started on it as soon as we returned home. The products are supposed to cleans the digestive tract, kidneys and liver. They contain various herbal products, algae, plantain seeds for fiber, and a low dose thyroid product of some sort, and one is also supposed to eat alkaline forming foods. I was naturally skeptical. He claimed that his analysis showed that I needed detoxification because I had problems with my cholesterol. He said that with his device he didn’t need to do blood tests. How did he know about my cholesterol problem? Because I told him! Actually it’s not that much of a problem, but I try to be proactive. He said that evening there would be a nutrition class, but only for those who signed up. He encouraged me to sign up for the detox, but said he wasn’t worried because they get 60 people per week to sign up. While we were talking he was interrupted by someone asking if a person could be signed up for a consultation, even though his schedule was full. He said he would let us think about it while he took care of something. The class was later held in the gym in a glass walled off section. I counted 19 attendees. To show the legitimacy of the program, he said his company contracts with Carnival and other cruise lines to offer the program, and has been in business for years. I asked for clinical study references to support detoxification. He said he could give it to me, but not until after I signed up. I declined. If you take a cruise, try to get in some exercise, if nothing more than some extra walking. I advise you to save your money and not spend it on a detox program, and don’t forget your sunscreen. 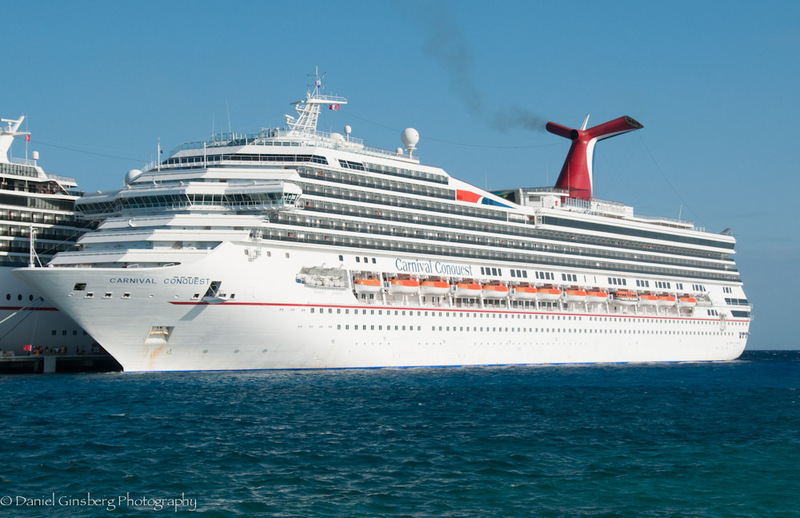 This entry was posted in Business of Medicine and tagged alternative, carnival conquest ship, diagnosis, exercise, fraud, gullible, health, healthy-living, hoax, nutrition, scam, travel, vacation. Bookmark the permalink. Thank you for posting the article about the Flatter Stomach class. We are on a Carnival ship in 2015. I was in the spa paying for my acupuncture appt, and asked about the Flatter Stomach class that I had thought of attending, but missed. Apparently I made an appt,, because I received a phone call in my room from spa stating I missed my appt. I rescheduled, and decided not to attend that appt either. The spa continued to call my room and told me that if I do not reschedule and show up, they will charge me half of the cost of the appt. I asked why is there a cost for this appt, because I thought it was only a consultation. She replied, “No, no, no…..”, with some sort of explanation, which I thought sounded somewhat demeaning. I am considering talking with the Service desk about it, and hoping our platinum status will help with the situation. Good luck. Unless you signed something agreeing to pay, I’d think they’d have a hard time enforcing it.